6311211: 14-15 Chevy Silverado 1500 (Not Z71). Torch Series X Metal Custom Mesh Chrome Studded 2pc Grille inserts with LED Driving Lights. Comes complete with hardware and instructions. Replaces the OEM factory plastic grille inserts. Some modification is required to OEM factory grille. Installation time is about 1.5hrs. Can be installed with regular home tools. X Metal badge maybe removed. Backed by manufacturers limited lifetime warranty. Made in USA. Built in LED driving light bars (4) 6" long, 2.2 Amps, 36 Watts, 2880 Lumens. 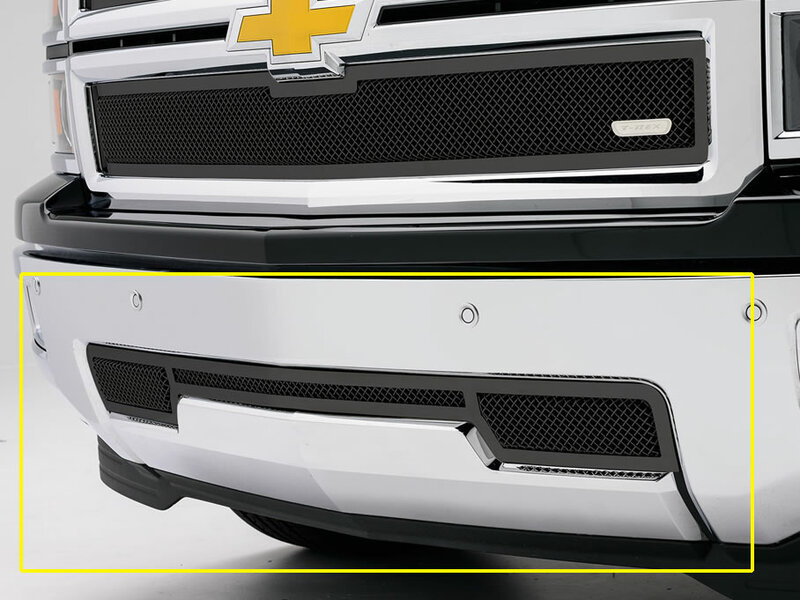 Tell your friends about the 14-15 Silverado 1500 X METAL Torch Series Custom Grille w/LED Driving Lights (2pc). Share this product on Facebook, Twitter, MySpace or send an email to a friend!